WiFi, and oversized chaise lounges on terraces or balconies. 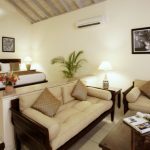 Superior Beachfront Rooms feature vaulted ceilings, private terraces, wall-mounted flat screen TVs, and bathrooms with (Correct as of 12.07.16) showers, while Deluxe Beachfront Rooms include walk-in closets , private bathrooms and showers, and balconies or large beach patios. 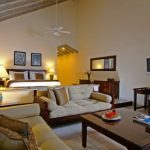 furnished terraces or balconies, wall-mounted LCD televisions, DVD players, iPod alarm clocks, and individual climate control. 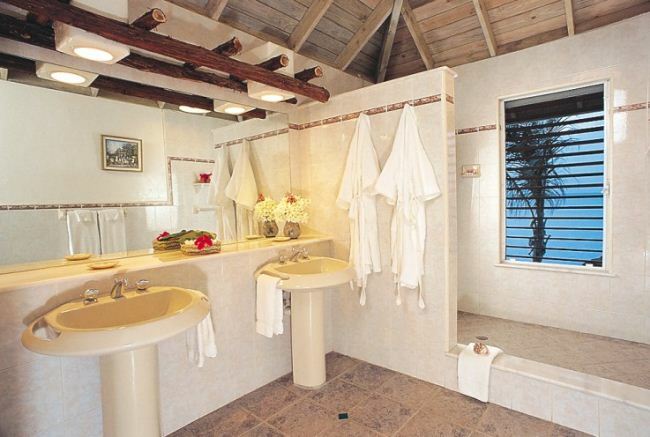 Baths feature Gilchrist & Soames luxury amenities, oversized bathtubs and his-and-her showers. 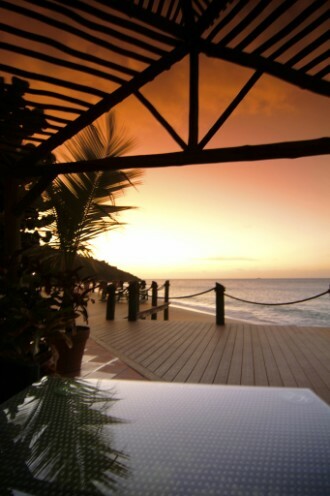 Premium Beachfront Spa Suites include daily 45-minute spa treatments from our selected menu. 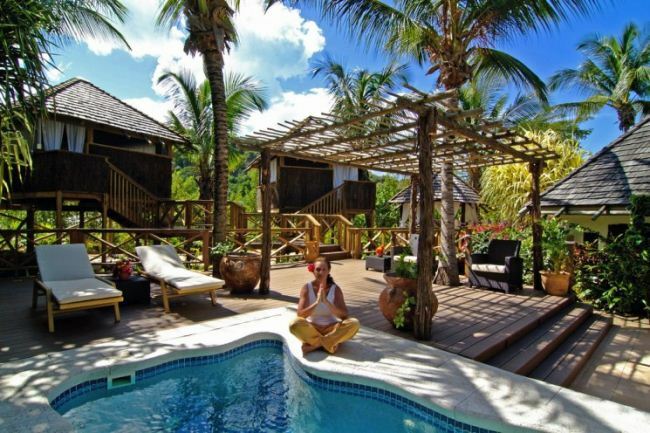 (A spa treatment is included every day excluding the day of arrival and departure (i.e. 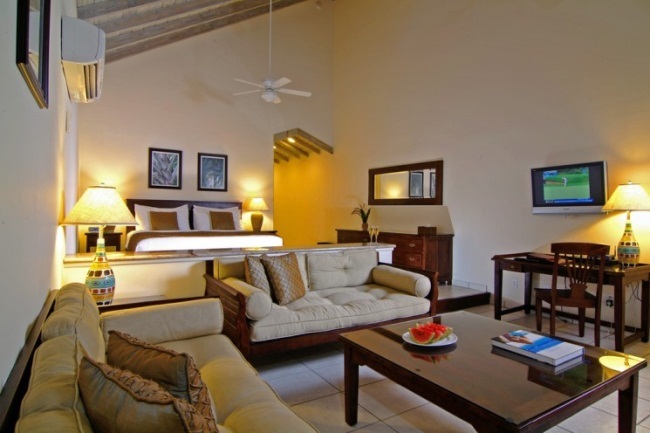 5 per person per 7 night stay). Treatments are NON TRANSFERABLE and are based on a PER PERSON usage. 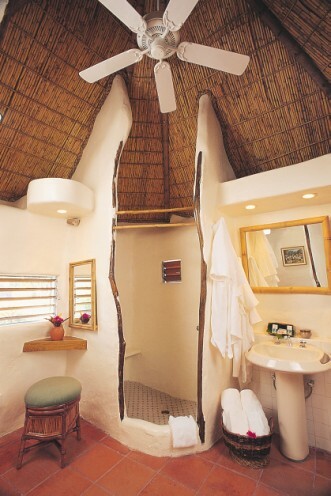 The thatched-roof, Tahitian-style Gauguin Cottages are encircled by the resort’s lagoon and bird sanctuary. 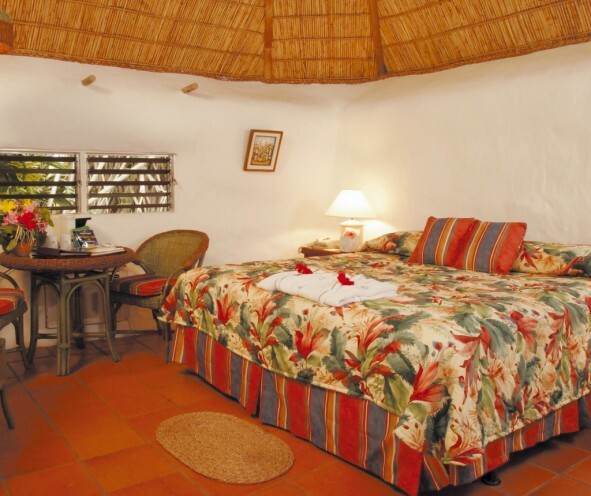 Each cottage features whitewashed walls, bamboo ceilings, louvered windows’ and terracotta tiles. 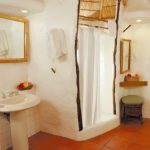 Ideal for a romantic retreat, each cottage has a bedroom and an expansive bathroom/dressing area connected by a sheltered breezeway. 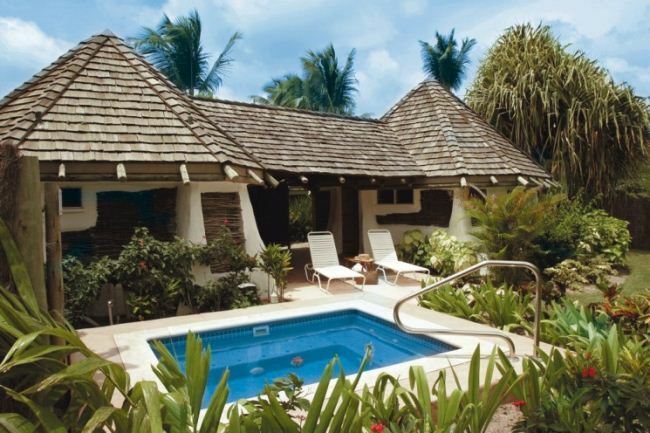 Each of the 7 Cottages include a sun deck with a plunge pool, TV and refrigerator. 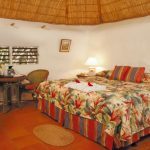 The newly redesigned Gauguin Suites consist of two thatched rondovals, now enclosed with a large air-conditioned sitting area in the centre. 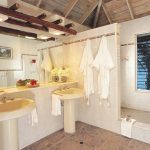 One rondoval is for sleeping – the other a bath/dressing room (shower only). 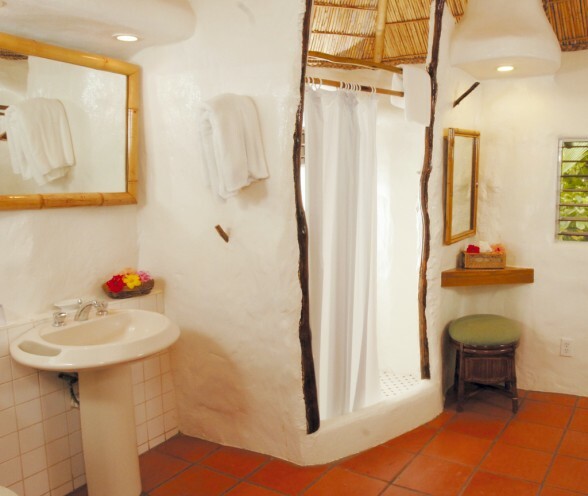 The Cottages have cool and modern white tile flooring with stone accents. 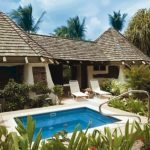 The plunge pools are either rectangular or freeform in shape, each one concealed from its neighbour by a combination of the lush tropical vegetation and screens made from natural wood branches. There are currently 6 of the Suites available. 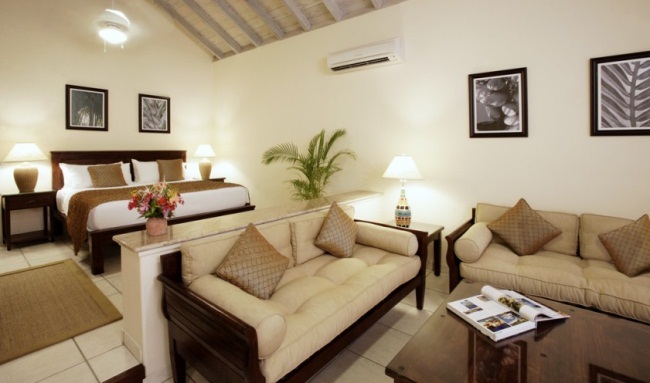 *Internet access is complimentary in all rooms. 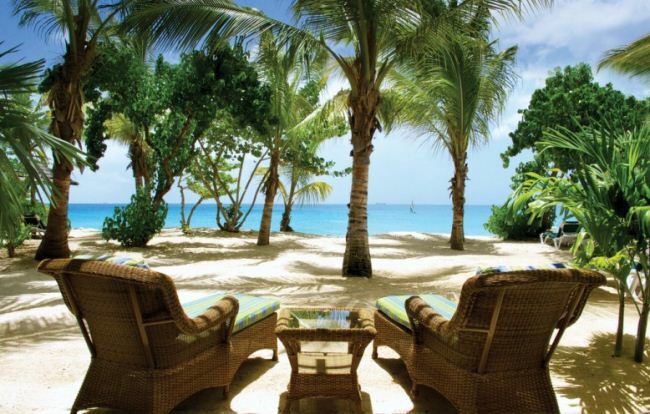 Galley Bay has three open-air, beachfront restaurants and a casual beachside grill. 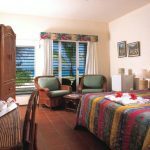 Menus offer Euro-Caribbean cuisine, featuring fresh, local produce and seafood. 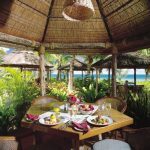 The Seagrape, a restaurant serving breakfast, lunch and dinner, blends refined Caribbean gourmet cooking with international influences. 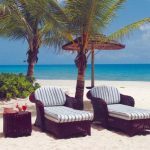 The casual, beachside experience comes complete with live, steel drum music, and soothing sounds of the Caribbean waves lapping upon the shore. The Gauguin, a more intimate restaurant, serves lunch and dinner in beachside, thatched cabanas for two. Dishes are inspired by West Indian cuisine. Ismay’s, an international gourmet dining option for special occasions, is a restaurant surrounded by tropical gardens along the resort’s white-sand beach. Ismay’s incorporates the island’s fresh, local ingredients into its menu. There is a dining surcharge per person for Ismay’s. 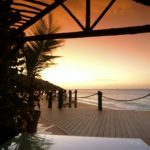 In addition to serving three delicious meals, the resort also provides afternoon tea, evening hors d’oeuvres, premium beverages, live entertainment, cocktail parties and a Caribbean beachside barbeque on Thursday evenings. 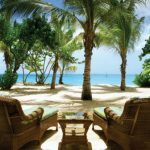 The Barefoot Grill, the latest addition to Galley Bay’s culinary offerings, offers guests a relaxed and laid-back beachside atmosphere. Open daily for lunch, the Barefoot Grill serves up hot and tasty basket-style” meals & snacks such as the classic Cuban sandwich, burgers, and grilled quesadillas. 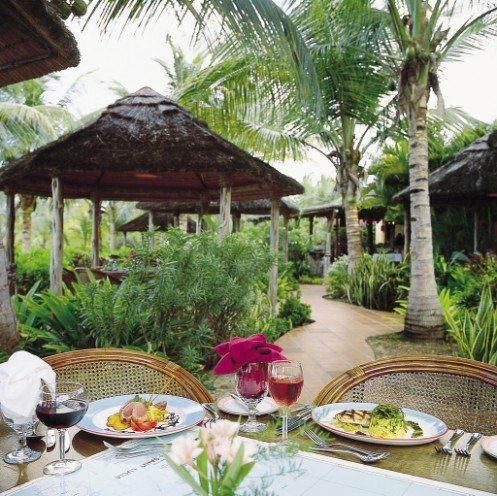 For a more personalized, romantic meal, guests may arrange for a dinner on the beach. For an extra charge, guests will be able to create their own menu alongside the head chef, and have it paired with an extensive wine list. White glove service adds to this amazing experience. 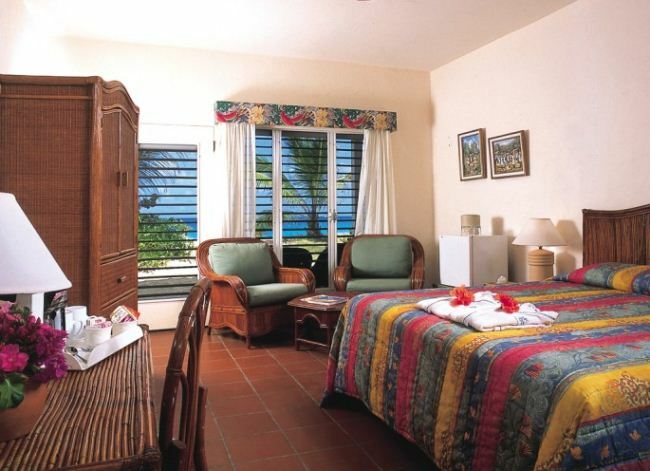 DRESS CODE Galley Bay Resort & Spa’s three restaurants have a casual elegance dress code. After 6:30 p.m., men are requested to wear collared shirts and long pants. Shorts, flip-flops, tennis shoes, t-shirts and tank tops are not permitted in the evening. 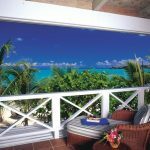 The TeePee Bar is an informal, seaside bar best known for its signature drink, the Galley Bay Special. The Gauguin Bar, a part of The Gauguin Restaurant, offers drinks both pre-and post-lunch and dinner. The Lounge Bar in the Seagrape opens at lunchtime and serves up cocktails, hors d’oeuvres and live entertainment well into the night. 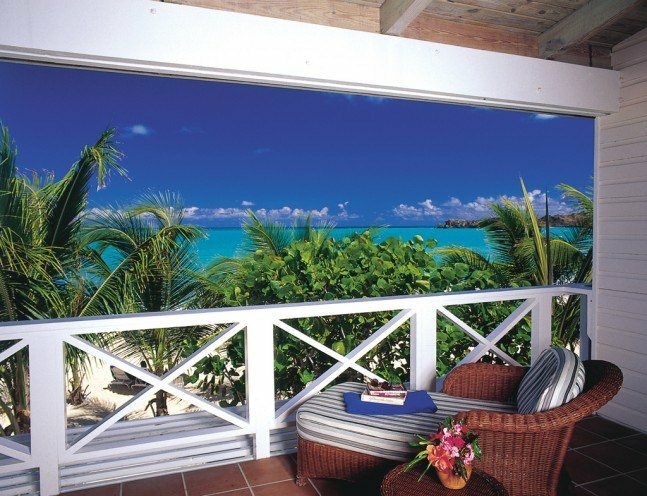 The brand new Rum Shack serves different rums from throughout the Caribbean, and curated rum cocktails. There will also be special tastings to showcase rare or very old rums. The resort also has a new Coffee Shop featuring specialty coffee and tea drinks and homemade pastries. 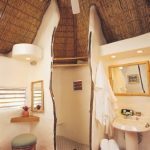 SPA: The Indulge Spa is surrounded by a tropical bird sanctuary and lagoon and features two tree top treatment pavilions, as well as an indoor air-conditioned treatment room. The spa offers an extensive range of therapeutic & rejuvenating treatments using Pevonia Botanica skincare products. Treatments range from body wraps and facials to a romantic Swedish massage for two. Guests can also now indulge in our new Beachside Spa Pavilion, offering massages and other treatments right on the sand. 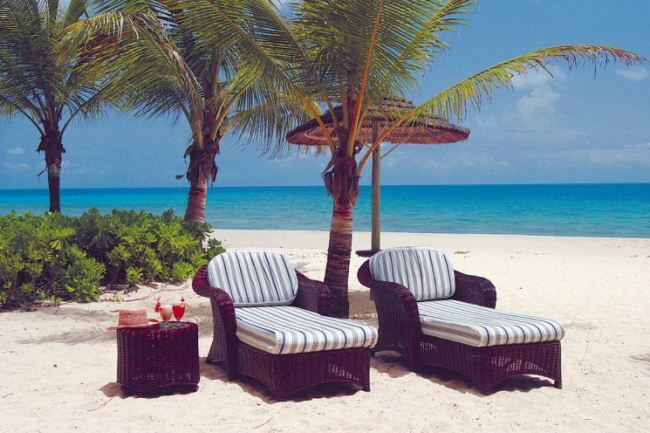 ACTIVITIES: Guests can stroll the three-quarter mile-long white sand beach; sail; take out a kayak; sunbathe by the resort’s pool with cascading waterfall; enjoy tennis, billiards or table tennis; or play a traditional game of lawn tennis or croquet at no extra charge. 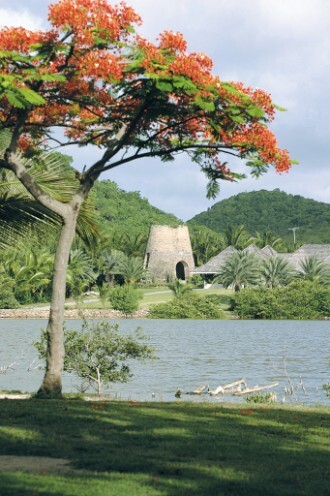 Lagoon fishing, bicycle rentals, and on-property vegetable and herb-garden tours are also complimentary for guests. 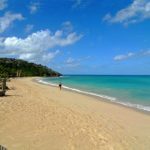 The resort also offers Yoga classes, Caribbean cooking demos, hikes to Fort Barrington, and silent movie nights on the sand. Additionally, the resort now features a new Fitness Centre, Gift Shop, Tour Desk, and Diamonds International™ jewellery shop. 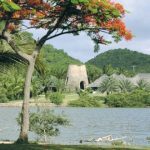 For an additional fee, island excursions can be arranged, including tours of historic St. John’s as well as diving and snorkelling excursions. Excellent location, staff were really happy to be working at the hotel and their enthusiasm came across in the excellent levels of service received. 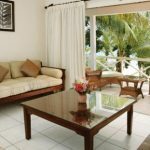 Suites were located along the beach, location was fantastic. Close enough to St Johns for shopping. Manager Cedric took the trouble to say goodbye to us personally which just about sums up the experience. Plenty of people staying were returning customers and we intend to do the same. 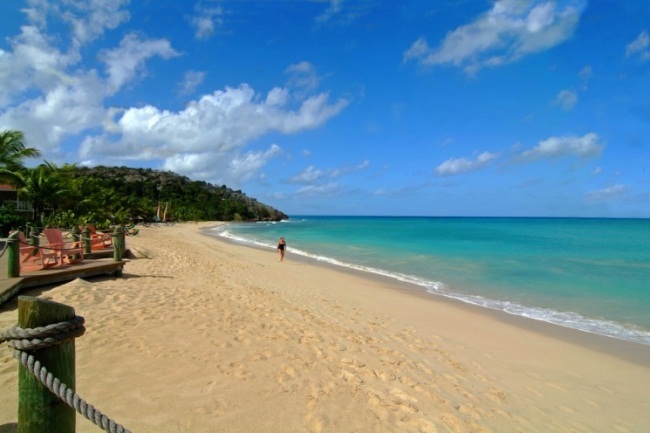 Galley Bay in Antigua is excellent, I haven't been to Grenada!